If you haven’t heard about it already, “Collaborative Law” has become a hot topic among divorcing spouses. To assist people in determining whether it’s an appropriate option for them, Ruvolo Law Group, LLC, will be publishing a series of blogs about Collaborative Law. The purpose of this blog is to provide an overview of the Collaborative Law process. In future blogs, we will more closely examine various aspects of this process, such as the Participation Agreement, the cost of neutral collaboratively trained professionals, the NJ Family Collaborative Law Act, and how you can best find a collaboratively law attorney that suits your situation. 1. The parties must agree to negotiate in good faith and to be fully forthcoming and transparent. 2. Each spouse must retain a collaboratively trained lawyer. 3. Each party must sign a Participation Agreement acknowledging that they will adhere to the principles of collaborative law. If either party decides to go to court, then both parties agree that they will retain new attorneys and, if applicable, new “experts”. While the collaborative law model has existed for several years, some people were hesitant to engage in this process because it had not been widely publicized. Since the enactment of the NJ Family Collaborative Law Act in 2014, more couples are finding this to be the best route to resolve the issues of their marriage. At the first meeting, the attorneys and the parties identify the issues specific to their divorce and/or custody matter. Once the issues are identified, an agenda and schedule are created that will serve as the framework going forward, understanding that either can be modified at any time to meet the needs of the parties. This differs from traditional litigation where the Court determines the timeline with no regard for the individual needs of the parties. At the first meeting, everyone also determines which, if any, other collaboratively trained professionals are needed. Examples of such professionals are divorce coaches, child specialists, business valuation experts or other financial specialists. It is important to note that these professionals are neutrals (chosen and retained by both parties) who provide objective recommendations and can assist the parties in the decision making process. How do I choose a collaborative attorney? Since the enactment of the NJ Family Collaborative Law Act, many attorneys are becoming collaboratively trained; however, you should not rely solely upon training in choosing your collaborative attorney. Collaborative law is different than any other type of legal practice so it is important to find an attorney who is an experienced collaborative practitioner that truly adopts the principles underlying the process. Collaborative attorneys advocate for their client, but they do so in manner that also addresses the interests of the family. Research the attorney’s background to determine whether he or she is an active member of a New Jersey collaborative law group. These groups offer continuing education courses and skill building programs dedicated to advancing the practice of collaborative law. Also, experienced collaborative attorneys have a strong network of collaborative professionals that will be part of your divorce team depending upon the needs of your family. At Ruvolo Law Group, LLC, Cindy Ball Wilson, Laura Ruvolo Lipp, and Melissa Ruvolo are all trained to practice Collaborative Law. Having a collaborative team sounds expensive. Is it? Just as every family is different, every divorce is different and calls for different professionals to transition your family from a single unit to two units. Whether your divorce will require additional professionals depends upon the needs of your family. An example is a divorce coach. In many divorces, one or both spouses have a difficult time adjusting to the idea of divorce. With traditional litigation, that spouse is forced to confront the situation by being served court documents a receiving intimidating letters from an attorney. This usually causes resentment and bitterness and results in more fighting. In collaborative, a divorce coach assists the parties in communicating directly with each other, and not through attorneys, to keep the process civil. It has the long-term effect of educating parties on how to discuss issues that arise after the divorce is complete, such as parenting time problems. In the short and long run, having additional professionals, depending on your family’s needs, is more cost effective than other forms of divorce. 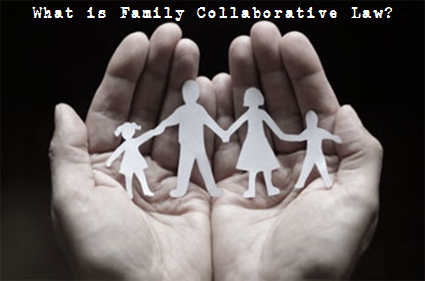 If you are interested in learning more about Family Collaborative Law, call us at Ruvolo Law Group and our collaboratively trained attorneys will help you determine whether it is right for you and your family.